Walt Disney World is in the midst of building a $110 million, 15-story tower next to its iconic Contemporary Resort that likely will feature time shares — bringing the units closer to the Magic Kingdom than ever before. Disney will say little publicly about the fast-rising Contemporary addition. 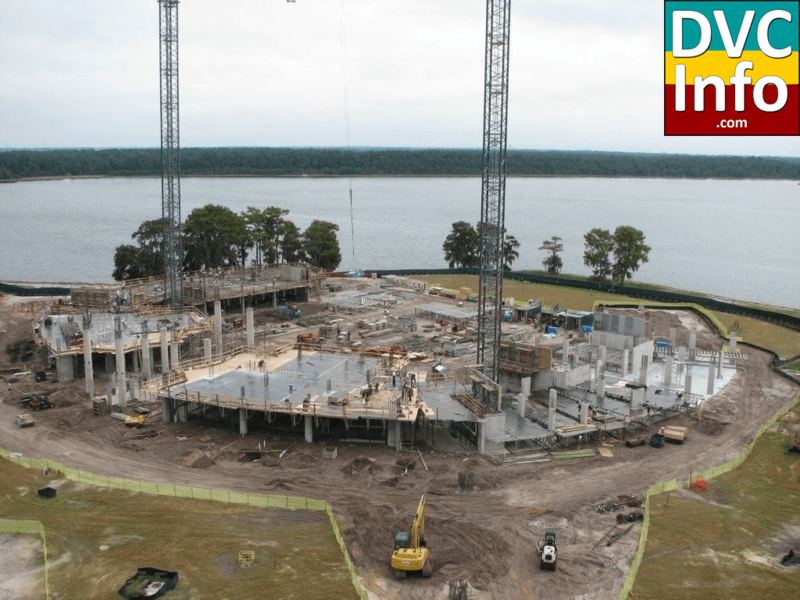 The new tower already stands five stories on 14 acres just to the north of the resort’s signature A-frame main building, which was just the second hotel at Disney World when it opened a few months after the park itself first welcomed guests Oct. 1, 1971. But there is ample evidence Disney plans to use the tower for time shares. Building-permit applications filed with Reedy Creek Improvement District identify the owner of the property as a company called JMSRM Inc. State records show that is a fictitious name created in August 2006 by Celebration-based Disney Vacation Development, parent company of the Disney Vacation Club time-share arm. In a pair of letters, an environmental consultant hired by Disney calls it “a proposed Disney Vacation Club (DVC) Resort at the Contemporary hotel.” And in a recent filing with the U.S. Securities and Exchange Commission, Disney, which has built about 2,400 time-share units at eight resorts, revealed that it has about 680 more under construction at Disney World. 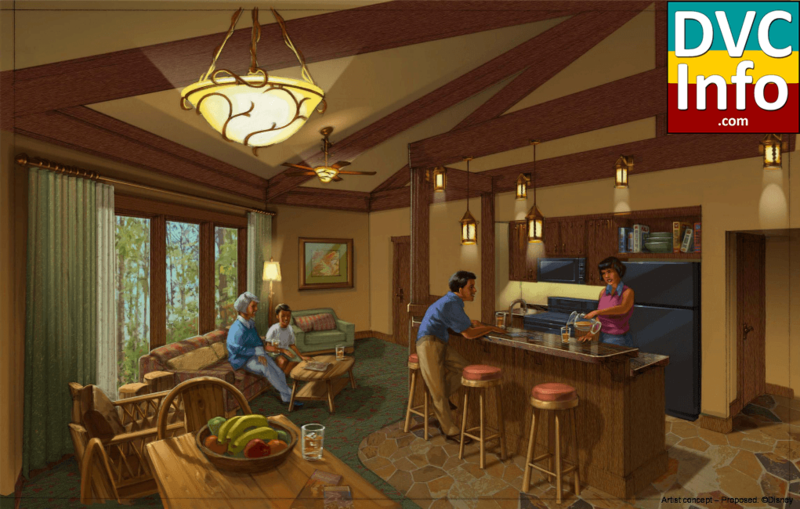 Disney has only publicly acknowledged one ongoing time-share construction project in Orlando: Kidani Village, an extension of the partially completed Disney’s Animal Kingdom Villas. That project is expected to have 340 units when finished in spring 2009 — leaving another 340 or so unaccounted for. Construction records for the Contemporary expansion call for 295 three-bedroom suites. Some could be sold as separate two- and one-bedroom units. Still, Disney will not talk about the Contemporary addition. “We have plans to expand our Disney Vacation Club business both on Walt Disney World property and at other vacation destinations in the future. 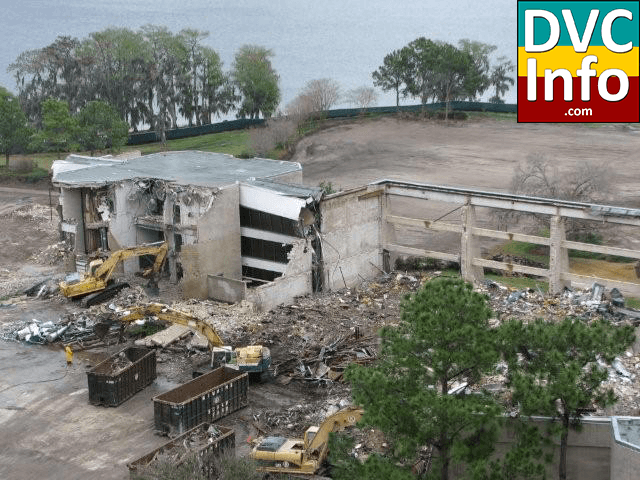 However, we don’t have anything formal to announce today,” Disney Vacation Club spokeswoman Rena Langley said. Analysts say Disney may have strategic reasons for holding back on a Contemporary time-share announcement. Disney, which has invested deeply in the time-share business in recent years, is still in the midst of peddling time shares in Animal Kingdom Villas and Saratoga Springs Resort & Spa, both at Disney World. Announcing future time shares now in the Contemporary — which are likely to be hugely popular, given their prime location along the Magic Kingdom monorail and within walking distance of the park — could slow the current sales, said Robert LaFleur, a leisure-industry analyst with Susquehanna Financial Group. Disney time-share buyers, though they own a real-estate interest, do not purchase specific units in individual resorts; rather, they buy points that they can redeem for rooms in the company’s time-share resorts or elsewhere. But buyers must purchase those points from a “home” resort — there are a limited number of points available for each facility — and they are given priority at that particular resort when booking a stay. “If you’re trying to pitch a sale at Saratoga Springs or trying to pitch a sale at the Animal Kingdom, and somebody’s aware that a year from now there’s going to be stuff available in the Contemporary . . . that would cannibalize your other sales, I would think,” LaFleur said. It is also possible that Disney could decide against marketing the Contemporary addition as time shares and use the building for more hotel rooms instead. Company executives said recently that Disney World hotels are averaging 90 percent occupancy, and the Contemporary commands some of the highest room rates of them all: A one-bedroom suite can run as high as $1,310 a night. 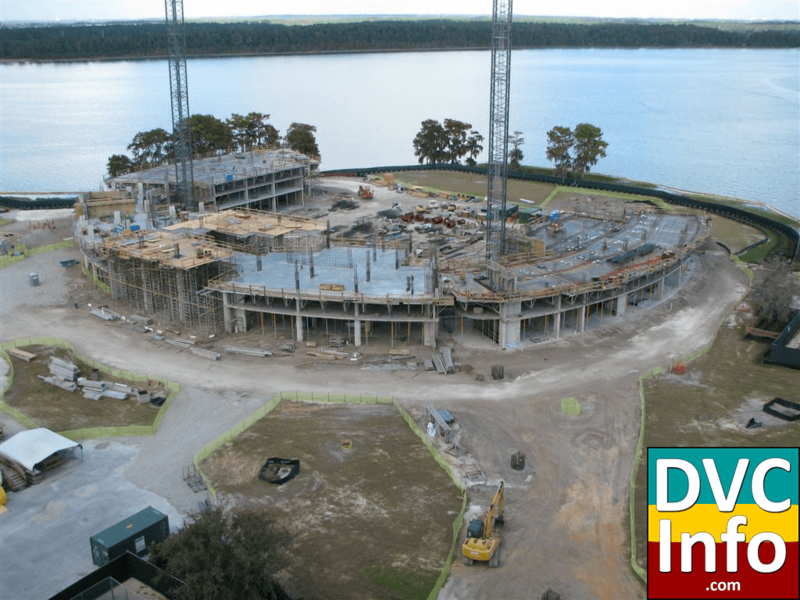 “I know [Disney has] talked about a tower there for a long, long time,” even before the company’s interest in time shares, said Reedy Creek District Administrator Ray Maxwell. The Contemporary addition is sure to be a lavish one. Records say the crescent-shaped tower will include a host of amenities, including a swimming pool and water-play area with an outdoor bar and a water slide; a spa; tennis courts; a barbecue pavilion; and a 499-person lounge on the 15th floor featuring a restaurant and bar. The new tower will be connected to the main building by a pedestrian bridge. The project price tag: $109.6 million. According to development records, Disney broke ground on the expansion in January 2007. The construction, which began with the demolition of an older, three-story wing of hotel rooms, is expected to take about 32 months. That would put the completion date about September 2009. Last fall, Disney announced that it will build an 800-room resort in Hawaii in which at least half of the rooms will be time shares and that it will add 50 two-bedroom villas to Disneyland’s Grand Californian Hotel & Spa, which will be the first time shares at Disney’s original resort. Disney Vacation Club President Jim Lewis has also said that the unit is considering projects in Lake Tahoe and the Caribbean. The company currently has six time-share locations at Disney World and one each in Vero Beach and Hilton Head, S.C.
Time shares have blossomed across the hotel industry. Jeremy Glaser, an analyst with Morningstar, said they are especially lucrative for a company such as Disney because time shares lock in future trips to its theme parks. Hidden among the trees in an obscure part of Walt Disney World, one of Disney’s more unusual and largely forgotten housing options is getting new life. 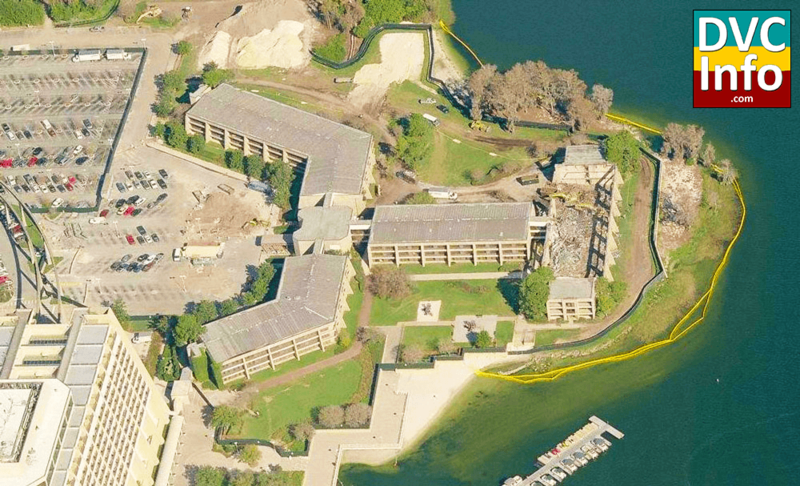 The giant resort intends to tear down and replace Disney’s Treehouse Villas, a community of 60 two-story housing units that have been used at various times as for-rent lodging, Disney Institute guest housing, and international student-worker housing. The three-bedroom villas — essentially octagonal town houses on pedestals, looking a little like treehouses — are scattered throughout a forested back road between a Disney World golf course and a canal, where they have aged, sometimes not well, for 33 years. While a few of them are in plain view to golfers on the Lake Buena Vista Golf Course and to resort guests who take a ferry-boat ride up the canal, they are well out of sight for the vast portion of the 100,000 or more people who occupy Disney World on any given day. Disney officials haven’t made much of the villas for years, and even now they aren’t willing to discuss their plans in any detail. The company sought and received permission from the South Florida Water Management District recently to tear down the villas and replace them. Disney World spokeswoman Andrea Finger said at least some of the new units would be available for use by resort visitors — the first time any of the Treehouse Villas have been open to the public in several years. Disney first opened the villas in 1975. Strung along a cul-de-sac road more than a quarter-mile long off Disney Vacation Club Way, the complex has its own pool and a small clubhouse. The villas were renovated in 1987 and then converted to housing in 1996 for the short-lived Disney Institute; at least some were sometimes made available for regular park visitors until 2002. By then they were showing their age. Much of the complex was built in the flood plain, so Disney could not tear down the old villas and replace them with just anything. The new plan reduces the units’ ground-level “footprint” from 340 square feet to 84 square feet each by eliminating the first-floor living space. Consequently, the new buildings will be even more treehouse-like, supported by sets of pilings. 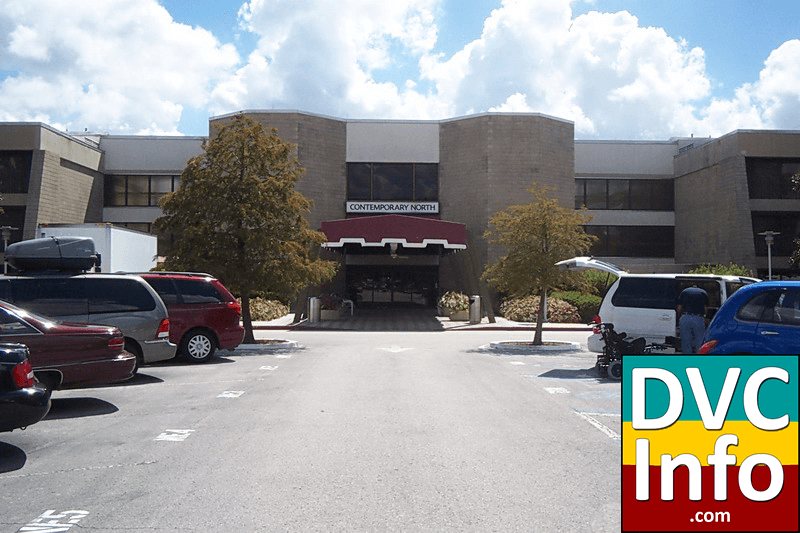 The South Florida Water Management District approved the plan Feb. 4. The Walt Disney Co. has won approval to begin selling time shares in a 15-story tower the company is erecting next to its famed Contemporary Resort, a $110 million addition that Disney has named “The Kingdom Tower.” Disney has for months refused to divulge its plans for the hard-to-miss, half-built tower that is rising just outside the gates of the Magic Kingdom — despite rampant speculation among Disney fans that it is destined for time shares. A spokeswoman for the company’s time-share division, Disney Vacation Club, would not discuss the project in detail again Monday. “We don’t have anything to announce today,” spokeswoman Diane Hancock said. But in new filings with the Florida Department of Business and Professional Regulation, Disney formally states that the Disney Vacation Club will “add a ninth component site to be known as Kingdom Tower at Disney’s Contemporary Resort.” Disney says in the documents that it will sell the time shares in phases, beginning with an initial 75 units. The Kingdom Tower, which will connect to the existing Contemporary via a fifth-floor pedestrian bridge, will ultimately contain 281 units, according to the filings. A spokesman for the Department of Business and Professional Regulation, which awarded a time-share license to the Kingdom Tower project earlier this month, said Disney has now been cleared to start selling units at any time. “They can begin,” department spokesman Sam Farkas said. Disney appears in no rush. The company says in the documents it doesn’t expect to finish the Kingdom Tower until the fall of 2009. Analysts say the company can afford to be patient. The Kingdom Tower, they say, is likely to prove a huge seller, given that it will be the closest time shares Disney has built to the Magic Kingdom — the busiest theme park in the world — and the first built directly alongside Disney’s monorail. “I’d have to imagine that’s going to be an extremely popular product,” said Jeremy Glaser, a lodging-industry analyst with Morningstar. Disney’s filings with the state also offer more detail about the Kingdom Tower’s amenities. A new swimming pool, for instance, will be large enough for 180 people; go as deep as 4 feet, 11 inches; and feature two hot tubs and a 104-foot-long water slide. There will be two tennis courts, two shuffleboard courts and two boccie ball courts. A barbecue pavilion will have about 490 square feet of covered area and a pair of picnic tables. 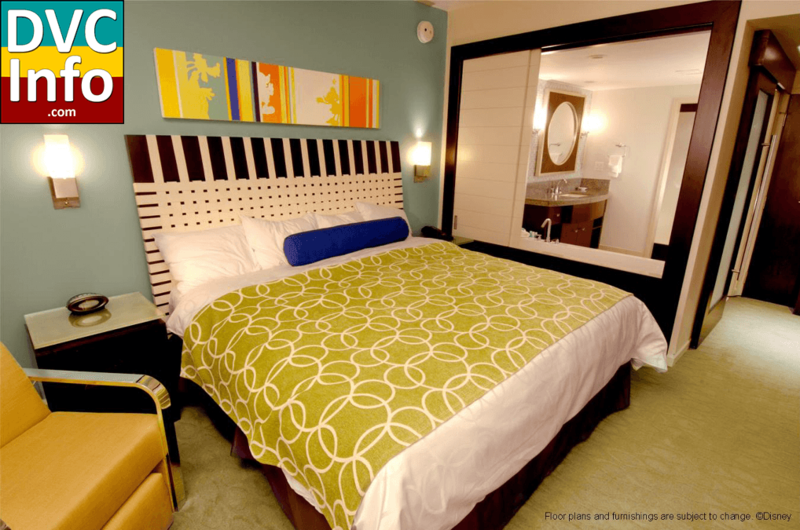 Glaser predicted that Disney will choose to market the Contemporary time shares “as more of an upscale product.” An early point-chart submitted by Disney to the state — Disney Vacation Club owners buy points from the company, which they then redeem for rooms, though they must buy through a “home resort” — shows guests will have to spend more points to rent one- and two-bedroom units at the Kingdom Tower than any of Disney’s other existing time shares. In a further step toward cementing the new tower’s status as a time-share resort, Disney has created a new condominium association that would manage the resort once units are sold off to individual owners. 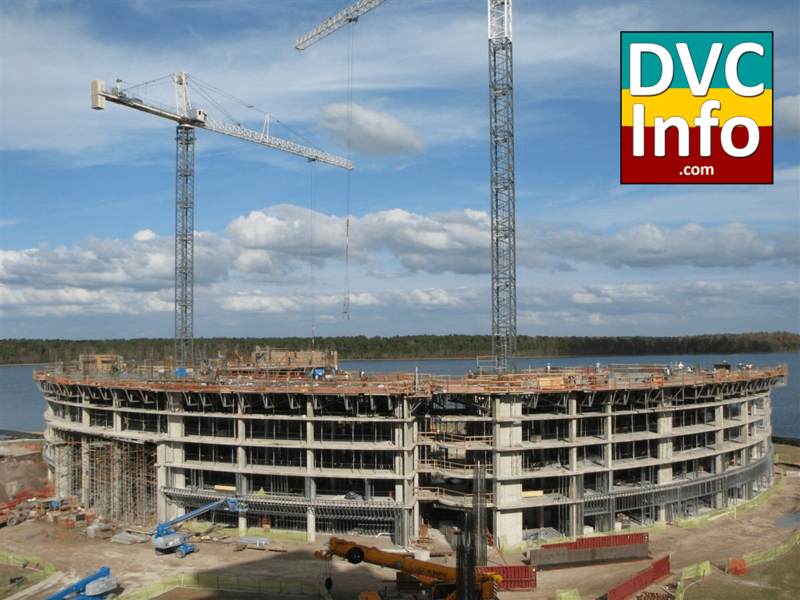 State records show that the “Kingdom Tower at Disney’s Contemporary Resort Condominium Association” was formally incorporated Jan. 9. 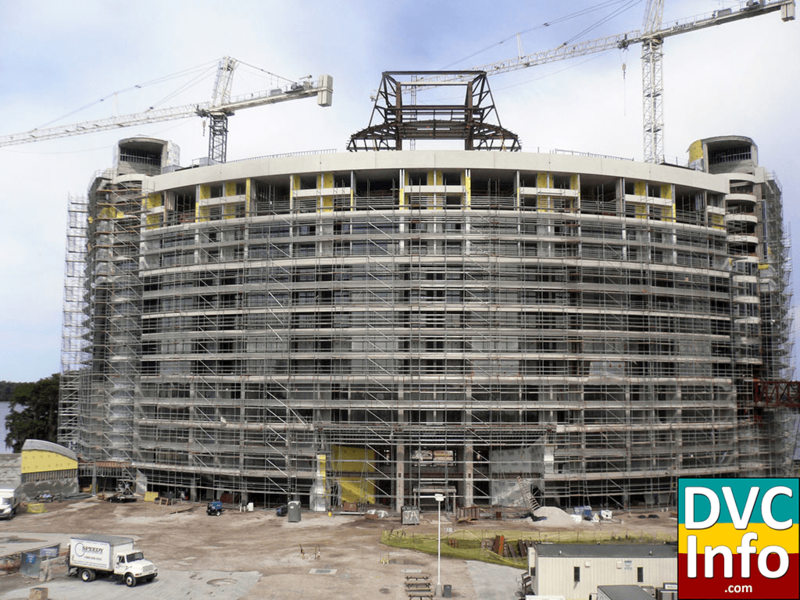 The Kingdom Tower continues a wave of construction for Disney’s fast-growing Vacation Club. The company is in the midst of building its first time shares at Disneyland in Anaheim, Calif., and has announced plans to build an 800-room resort in Hawaii in which at least half of the units will be time shares. 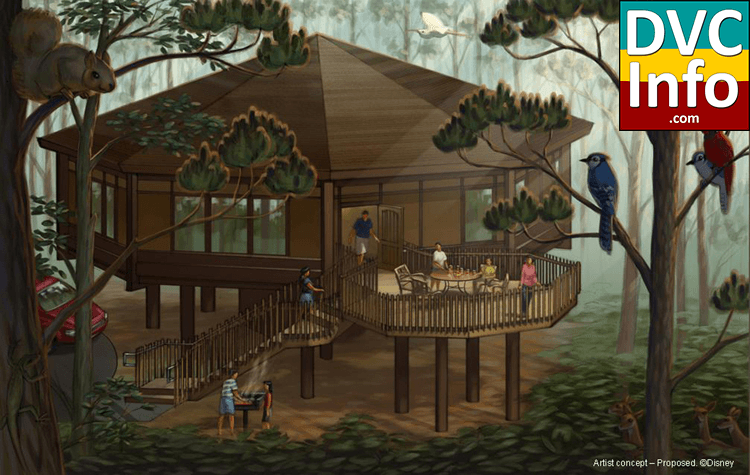 Disney also recently obtained approval to rebuild its little-known Treehouse Villas, a 60-unit community in a heavily forested area of Disney World. The move has prompted speculation that those units, too, could be converted to time shares. The widespread building boom comes even as the U.S. economy teeters on the brink of a possible recession. But Tammie Kaufman, a professor at the University of Central Florida who teaches courses on time shares, said time shares could remain popular even during an economic slump because consumers will want to stretch their vacation money further. “People are looking for a bargain,” Kaufman said. 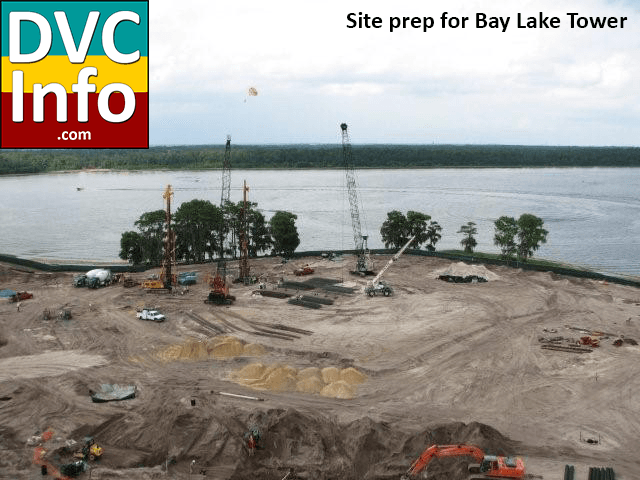 Let’s take a look back at the history of the site for Bay Lake Tower. 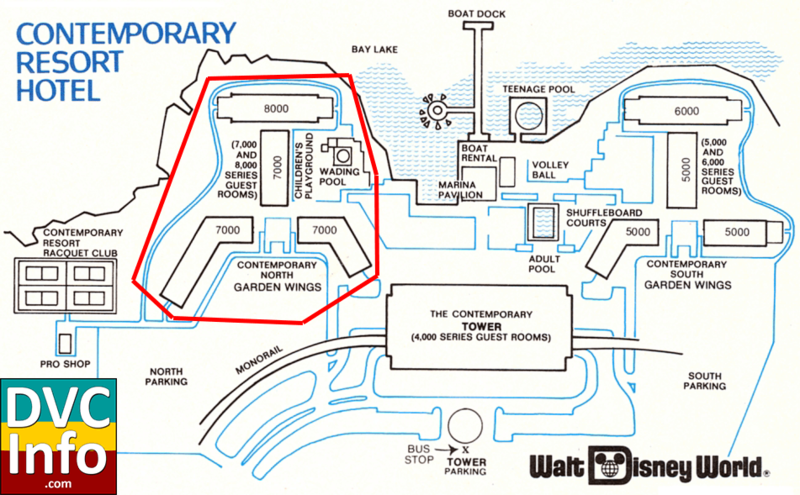 The Contemporary Resort used to have two garden wings, as shown on this map. Here’s what the North Wing looked like. 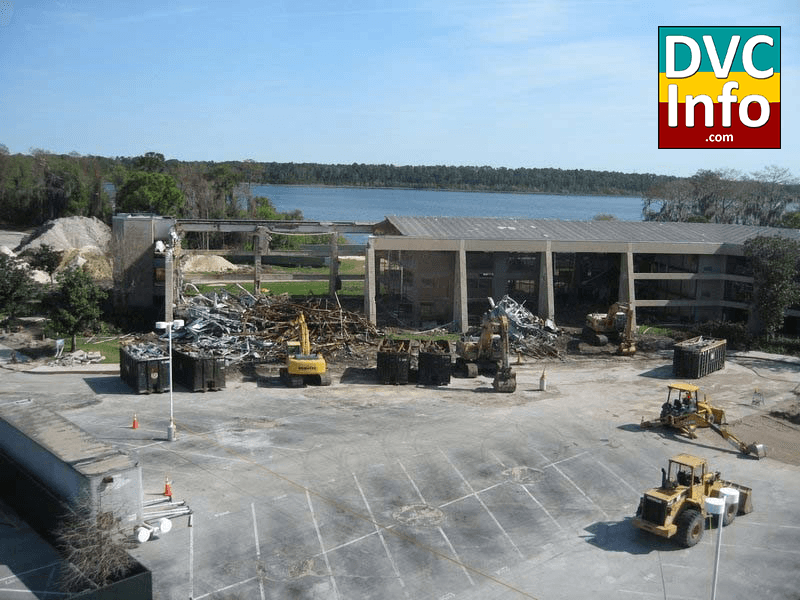 In 2006, Disney filed plans for a project on the site of the Contemporary Resort’s North Garden Wing and a construction fence was erected, encompassing the wing and part of its parking lot. The North Wing was demolished between January 31 and April 6, 2007. Based on Member feedback, the daily charge for wired high-speed Internet access for Members staying at Disney Vacation Club Resorts at the Walt Disney World® Resort will be discontinued effective May 4, 2008. Guests renting Disney Vacation Club accommodations will continue to pay the daily rate for access, and high-speed Internet access charges still apply to Members staying at non-Disney Vacation Club Resorts. In response to ongoing Member feedback regarding our reservation processes, we are introducing a new policy designed to enhance booking guidelines. The new reservation policy now offers Members the opportunity to place one single phone call to secure an entire Disney Vacation Club Resort reservation for as many as 7 nights, beginning on the first day of their booking window (which is 11 months before check-in at Members’ Home Resort, or 7 months before check-in at other Disney Vacation Club Resorts). The previous policy required Members to call daily at the beginning of their booking window, piecing together their reservation one night at a time. In addition to providing greater Member convenience, the simplification of the reservation process also provides the benefit of reduced call volume to Member Services, thereby shortening Members’ wait times and making more efficient use of Member Services resources, which are supported by Members’ Annual Dues. The Walt Disney Co.’s rapidly growing time-share division takes an aggressive step forward today when it unveils plans for two new resorts in Orlando — even as Disney Vacation Club battles some of the strongest financial headwinds it has ever faced. Disney this morning will formally reveal plans for its Bay Lake Tower at Disney’s Contemporary Resort, confirming earlier reports that the 15-story tower rising just beyond the Magic Kingdom will be used for time shares. The company also will unveil plans to sell time shares at the Treehouse Villas at Disney’s Saratoga Springs Resort & Spa, a secluded community of 60 units that is being rebuilt in a forested pocket of Walt Disney World. 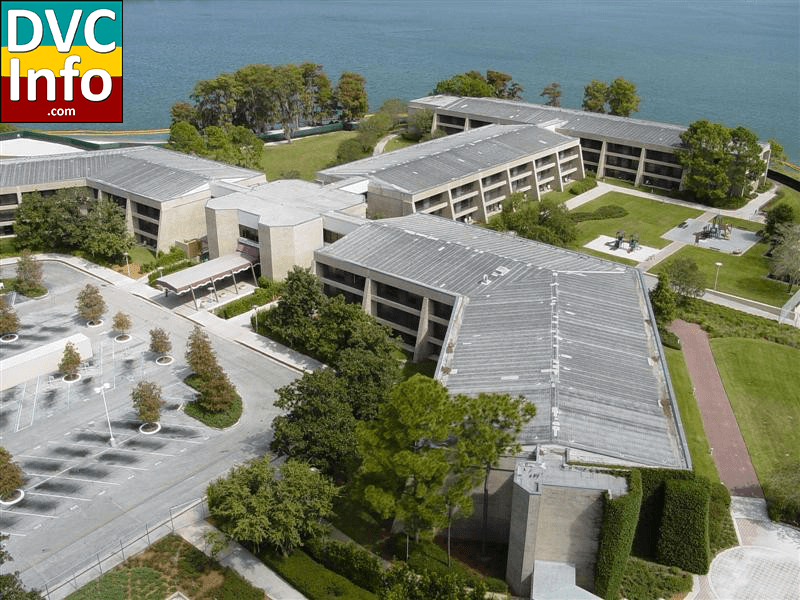 Two long rumored resort developments were announced today for Disney’s Vacation Club, Disney’s vacation-ownership program: Bay Lake Tower at the Contemporary and Treehouse Villas at Saratoga Springs. 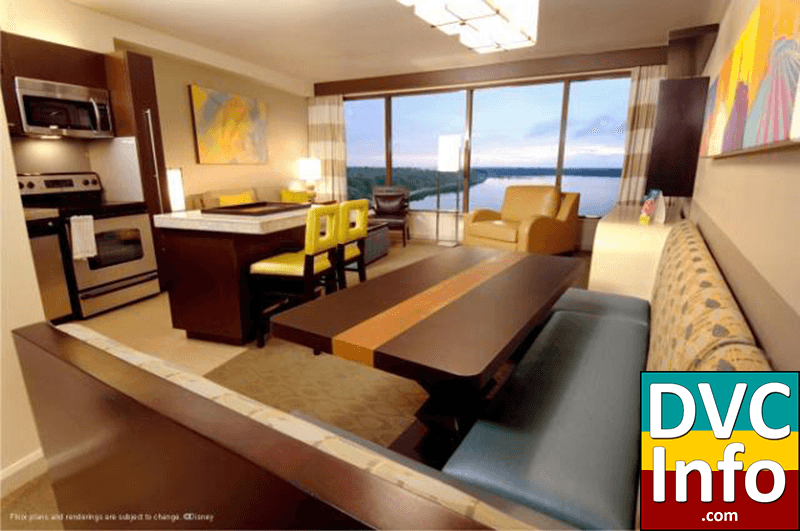 The 15-story Bay Lake Tower at Disney’s Contemporary Resort is scheduled to join the Disney Vacation Club family of properties in fall 2009, while the Treehouse Villas at Disney’s Saratoga Springs Resort & Spa, scheduled to open in summer 2009, will become the next room category offered at that resort. 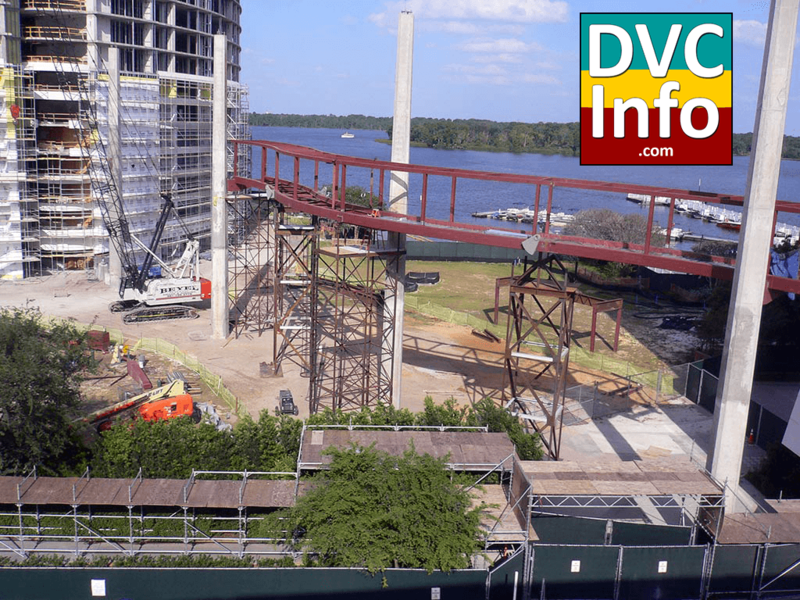 Disney Vacation Club also announced that Bay Lake Tower sales are scheduled to begin on Sept. 21 for Disney Vacation Club Members, while sales to the general public and sales for the newest phase of Disney’s Saratoga Springs Resort & Spa will begin at a later date. 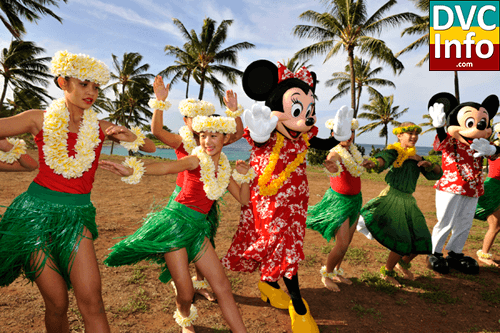 Walt Disney Parks and Resorts broke ground for its first family destination resort in Hawaii today with a traditional Hawaiian blessing ceremony on its 21-acre oceanfront property, located at the Ko Olina Resort & Marina development on the western side of Oahu. Scheduled to open in 2011, the new family friendly destination will overlook breathtaking crystal blue lagoons and white sand beaches and is planned to include 350 hotel rooms and 480 Disney Vacation Club timeshare villas. Rasulo noted that Disney chose to build a resort on Oahu due to the international popularity of Hawaii as a family vacation destination. Hawaii is among the top vacation choices of Disney Vacation Club members following Disney’s theme park destinations. Several of Hawaii’s elected officials and community leaders welcomed Disney to Oahu at the ground blessing ceremony, including Lieutenant Governor James R. “Duke” Aiona, Jr.